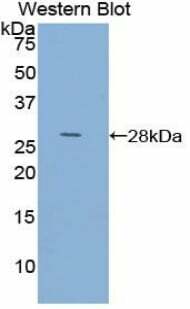 The antibody is a rabbit polyclonal antibody raised against ACTC1. 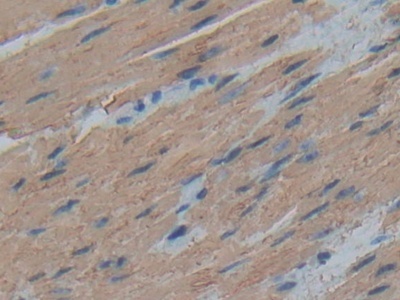 It has been selected for its ability to recognize ACTC1 in immunohistochemical staining andwestern blotting. 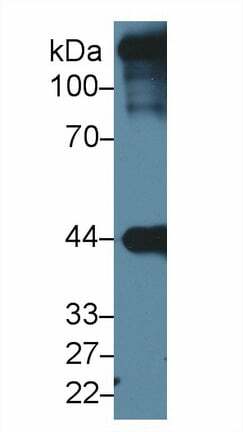 Recombinant ACTC1 (Asp156~Gly368) expressed in E.coli.